​Peninsula Dance Theatre is proud to announce our 45th Season! Join us in celebrating our love for the arts as our dancers entertain you with both familiar stories and new works. Tickets are available for each show or you can choose to purchase Season Tickets at a discounted rate, which will include the following: The Nutcracker, Choreography Showcase and Giselle. Give yourself or someone special the gift of dance, and purchase tickets today. Peninsula Dance Theatre is committed to developing young artists and enhancing our community by producing and providing frequent access to high-quality live dance performances. For 45 years I have had the great pleasure of watching the evolution of the company and unlimited achievements of our young dancers. It was always a dream of mine to share my passion for the dance arts with others. Through Peninsula Dance Theatre, that dream has materialized! Each year, since 1973, Peninsula Dance Theatre has taken the time to create and nurture young artists into successful, confident young adults in both dance and their day-to-day lives. PDT has welcomed thousands of audience members to experience a quality classical and contemporary dance in the community and worldwide. PDT is associated with Bremerton Dance Center and is a proud member of Regional Dance America, an organization promoting the artistic development of dancers and choreographers across the United States. Thank you to all the dancers, volunteers, donors, and long-time audience patrons that have helped make PDT successful for the past 45 years, and to all of those who will continue to support PDT! 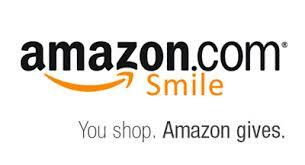 Support Kitsap Peninsula Dance Theatre while you shop with Amazon!